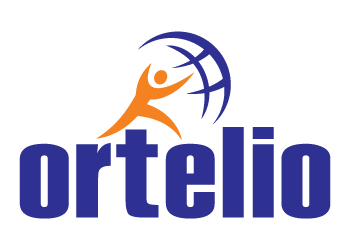 Ortelio is a specialised international research and innovation management consultancy. We support our clients to develop and commercialise new products and services, and leverage their research results through international research branding. Ortelio has designed and developed web-based solutions for collaborative innovation, collective intelligence, technology transfer, product marketing and promotion in the transport sector. The Technical University of Munich (TUM) is characterized by a unique profile with its core domains natural sciences, engineering, life sciences and medicine. The institutional strategy is focused on strengthening the excellence of disciplinary core competences in research, teaching and learning, but is also targeted towards the promotion of ground-breaking, interdisciplinary research. TUM is committed toward the major challenges facing society in the 21st century in areas such as energy, climate, and environment, natural resources, health and nutrition, communication and information, mobility and infrastructure. Besides research and teaching, TUM inspires and pro-actively empowers its students, academics, and alumni to think and act entrepreneurially. It initiates growth-oriented start-ups and assists its entrepreneurs in building new companies (TUMentrepreneurship). TUM took first place among the German universities in the renowned QS World University Ranking (rank 60 worldwide). It was classified as one of the three best German university in the prestigious ―Shanghai Ranking‖ (rank 51 worldwide). TUM was ranked 11th in the Global Employability University Ranking in which companies worldwide evaluate the quality of university graduates. The THE World University Ranking counts TUM among Germany ́s four best universities in research, teaching, and knowledge transfer (rank 53 worldwide). And according to the ranking recently published by the news agency Reuters, TUM is the most innovative German university (rank 50 worldwide). With its institutional strategy “TUM. The Entrepreneurial University”, TUM has been among the first three German universities in 2006 to be successful in all three funding lines of the excellence initiative. In 2012 TUM was again successful in the second round of the Excellence Initiative. UPM is the largest Spanish technological university as well as a renowned European institution. With two recognitions as Campus of International Excellence, it is outstanding in its research activity together with its training of highly-qualified professionals, competitive at an international level. More than 2,400 researchers carry out their activity at the UPM, grouped in 216 Research Groups, 10 Research Centers and 55 Laboratories, all of them committed to transforming the knowledge generated into advances applied to the production sector. The intense collaboration with governmental bodies and industry guarantees that research at the UPM offers real solutions to real-world problems. The dynamism of R&D&I activity at the UPM, together with the transfer of knowledge to society, is among its lines of strategy. These two commitments place it among the Spanish universities with the greatest research activity and first in the capture of external resources in a competitive regime. UPM heads the Spanish Universities‘ participation in the 7th European Framework Program with more than 280 projects and more than 80M€ funding. Moreover, every year, UPM applies for around 40 patents and receives a similar number of concessions demonstrating a high commitment to innovation. Regarding business creation, UPM is leader, being generated about 140 businesses. Its support and backing of the business sector is very close. It annually signs around 600 contracts with private businesses. All this shows that UPM is an institution committed to the transfer of knowledge generated through its research structures to society, and its transformation into advances and technological developments applied to the productive sector. In addition, the Transport Research Centre (TRANSyT) is an organisation launched in 2004 by the UPM with the purpose of generatemanagement capacity and participationin programs, projects and vanguard investigation within the transport area, with special interest in the European Research Area. TRANSyT is aimed at promoting the relationship with centres of similar characteristics; national, European and worldwide, in order to exchange experiences, advising and the development of prototypes or pilot actions. It covers activities in different transport related fields, including: financing, economics and transport planning, management of infrastructure and services, environmental, social and regional impacts of the transport, local and regional sustainable transport strategies, urban transport and mobility management, information technology solutions on environment and transport. The UPM is a founding member of the BDVA Association, the private counterpart to the EU Commission to implement the BDV PPP program (Big Data Value PPP). BDVA has as main objective to boost European Big Data Value research, development and innovation and to foster a positive perception of Big Data Value. UPM is a member of the Partnership Board and Steering Board, and leads the skills issues in the Coordination and Support Action called BDVe that will support the activities of the PPP during the period 2017-2020. Coventry University Enterprises Ltd (CUE Ltd) was established in 1989 as Coventry University‘s (COVUNI) trading arm. Since then has generated a significant portfolio of business support / outreach activity at national, regional and sub-regional level and across national borders. CUE staff is focused on strengthening industrial academic relations and business development activities. Innovation support is one of CUE‘s core activities along with Technology Transfer which is mainly run through the Enterprise Europe Network. CUE is part of the network since its establishment. These activities support COVUNI‘s eight multidisciplinary Applied Research Centres and 5 sector focused Applied Research Institutes. The Applied Research activities of the University provide academic underpinning to CUE‘s outreach support. CUE Ltd has delivered programmes aimed directly at SMEs at regional and sub-regional level in the East Midlands, West Midlands, South East and South West of England under contract to Regional Development Agencies, Local Authorities, National Government Departments / Ministries and the European Commission. At any one time CUE is delivering sixty plus public and private funded programmes. Transport is one of the key research topics for both COVUNI and CUE as a number of initiatives are currently running in the area of Integrated Transport and Green Vehicles. CUE has a long standing experience in coordination of publicly funded projects, especially in the area of transport. Policy drafting, sustainable mobility, Intelligent Transport Systems, transport innovation, have been key areas of expertise for the past 15 years. 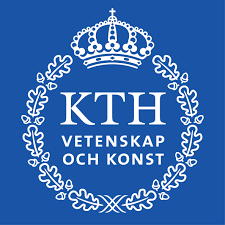 KTH is the largest and oldest technical university in Sweden responsible for one third of Sweden‘s capacity for technical research with a total turnover of almost €500 million (2012). KTH‘s education and research cover a broad spectrum – from natural sciences to all branches of engineering as well as architecture, industrial economics and urban planning. There are a total of 12,600 full year students, over 1,900 active PhD students and 4,800 employees including 299 full, visiting and adjunct professors and 240 associate and assistant professors (2012). KTH is Scandinavia’s largest player in transport research, with world-leading research and industry cooperate closely in a number of automotive and transportation related topics. Together with automotive and IT industries, It hosted various multidisciplinary centres. Two departments of KTH involve in this project: Department of Transport Science and Department of Geoinformatics. The KTH team that involve in this project is affiliated to the Integrated Transport Research Laboratory (ITRL) which is co-funded with Scania and Ericsson and with the Centre for Transport Studies (CTS), which is co-funded together by VTI (the Swedish National Road and Transport Research Institute), WSP Analysis & Strategy, Trafic Analysis, the Swedish Transport Administration, Sweco, and VINNOVA. In relation of IT development and big data analyses, the KTH team that involve in this proposal has developed and tested smartphone applications to monitor travel behaviour, which, in cooperation with Sweco, are also trialled by the Swedish Transport Administration as a possible alternative to periodically collect the Swedish National Travel Survey in the future. Furthermore, KTH transport science department is also hosting the iMobility lab, which provides real-time traffic data and predictions and integration with meso- and microscopic traffic models, based on GPS data of taxi movements and other real-time traffic movement detectors within Stockholm city. In this project the KTH team will mainly involve in WP2 and WP4 and will participate in other WPs as well. Macomi is a spin-off of Delft University of Technology, based in Rotterdam (the Netherlands). Macomi was founded by three PhD researchers in 2011 with the intention of bringing the latest academic developments on simulation and optimization software to companies and other institutes. To achieve this Macomi works together with several international universities in Europe and United States of America. Furthermore, most employees at Macomi have worked in the academic world for many year and have received their PhD. Macomi is specialized in simulation based decision support systems and predictive analytics. We work with our clients to foresee the future of their business environment and help them optimize resources, processes, and competencies to strengthen and sustain their competitive advantage. With our simulation services across the value chain and the expertise of our people in various industries, our clients reduce the uncertainties of their business decisions and are one step ahead of competition. Macomi has three major areas in which we work: 1) workforce management, 2) supply chains, 3) transportation and logistics. In the transportation and logistics group Macomi has extensive experience in simulation of rail networks, ports and terminals. Macomi works with and for many international clients, both private and governmental. University of Belgrade, The Faculty of Transport and Traffic Engineering (FTTE) was founded in 1950. Since its establishment, the Faculty of Transport and Traffic Engineering has made a significant contribution to the development of science and profession in the field of traffic and transport, by preparing or implementing more than 2,000 studies, projects, expert opinions, expert evaluations and the like for the benefit of the Belgrade and other parts of the country, Serbia as a whole and wider region. These researches included: studies of a strategic character, studies relevant to the development of the transport system and individual types of transport, as well as transport and economic feasibility studies for the most significant infrastructure projects in the fields of railroad and road transport, maritime and inland waterway and air transport. Tasks related to NOESIS WPs and tasks have constituted important aspects of these projects and researches. FTTE was engaged in FP7 project METRIC ―Mapping European regional Transport Research and Innovation Capacities‖ as leader of WP2 ―Mapping Regional Transport Innovation Frameworks‖. It has enabled FTTE to acquire relevant knowledge in collecting data and analysis of the transport RDTI capacities and strategies in Europe. In addition, FTTE performed, within the REACT (―Supporting Research on Climate-friendly Transport‖) project, the mapping of EC projects in the area of climate-friendly transport (part of REACT WP3). Furthermore, collection of relevant data on transport related trends and factors and their analysis have constituted important aspects of numerous national and international studies which have been performed so far by FTTE staff. Therefore, FTTE has acquired a lot of experiences in mapping and analysis of transport data, factors and trends in EC and other projects. It documents FTTE‘s sufficient capability to lead the relevant tasks on collecting, storing and visualization of use cases of European Big Data in Transport applications. The Faculty is specialized in transport related researches covering all modes of transport and various research fields (engineering, economics, organization, legislation, psychology, etc). These include research of transport demands and supply, traffic flow characteristics, examination of passenger and cargo flows, investigation of users’ behavioral characteristics, climate-friendly transport, transport and environment, development of analytical and simulation models in transport and traffic, studies before and after, development of expert systems, benchmarking of transport systems, ICT application in transport, traffic, and communications, etc. The Faculty staff is particularly focused on implementing applied research and existing and new methodologies, ICT technologies and mathematical approaches in resolving all types of transport related problems. Development and application of decision support systems has been a common issue in a numerous research projects, studies and papers prepared by the FTTE‘s staff. The Leibniz Supercomputing Centre (Leibniz-Rechenzentrum) is part of the Bavarian Academy of Sciences and Humanities (Bayerische Akademie der Wissenschaften, BAdW) and functions as the IT service provider for Munich‘s universities and a growing number of scientific institutions in the greater Munich area and in the state of Bavaria. The Centre is a front-runner in High-Performance Computing (HPC), both nationally and internationally. It supports outstanding research and education in various scientific domains by providing stable, professional, reliable, secure, and energy efficient IT services based on the latest IT technologies. contributed to the development and operation of the European e-Infrastructures such as PRACE, EGI, and GÉANT and is constantly involved in various EU-funded projects since FP6. In these projects BADW-LRZ has acted in various roles ranging from hardware design and operation (Mont-Blanc, PRACE) to application enabling (DEEP-ER), from research (AutoTune, GN3) and development (VERCE) to training (PRACE) and education (DRIHM), from communication and dissemination (ScalaLife) to project management and coordination (IGE). BADW-LRZ operates SuperMUC, a top-level supercomputer with 250,000 x86 cores and a peak performance of over 6 PFlop/s, as well as a number of general purpose and specialized clusters, including an Intel Xeon Phi Cluster (SuperMIC). In addition, it is a member of the ―Munich Data Science Centre‖, providing the scientific community with large-scale data archiving resources, Big Data technologies, OpenNebula Cloud with over 700 cores, etc. Furthermore, it operates a powerful communication infrastructure called Munich Scientific Network (MWN) and is a competence centre for high-speed data communication networks. BADW-LRZ has a long-standing tradition in research on energy-efficient operation of data centres. This not only includes the development of energy efficient computer architectures, but also improvements to the building infrastructure or the efficient use of waste heat. It was one of the first HPC centres to deploy direct-liquid cooled compute resources and remains a strong advocate of hot-water cooling. An additional research focus is on scalable, high-frequency monitoring solutions that facilitate energy-efficient HPC operations. LRZ is an active member in the Energy Efficient HPC Working Group and leads the Energy Efficiency Working Group of the European Technology Platform for High Performance Computing (ETP4HPC). BADW-LRZ participates in education and research and supports the porting and optimization of suitable algorithms to its supercomputer architectures. This is carried out in close collaboration with international centres and research institutions. BADW-LRZ is a member of the Gauss Centre for Supercomputing (GCS), the alliance of the three national supercomputing centres in Germany (JSC Jülich, HLRS Stuttgart, BADW-LRZ Garching). BADW-LRZ has decided to extend the application support in a few strategic fields, e.g., for life science, astrophysics, geo physics, and energy research. On a European level, BADW-LRZ participates in the European Projects PRACE, DEEP-ER, ComPat, NoMaD, AutoTune, Mont-Blanc 2, and Mr.SymBioMath. BADW-LRZ was the leader of the highly successful EU project ―Initiative for Globus in Europe – IGE‖ and is a leading member of EGCF. BADW-LRZ is internationally known for expertise and research in security, network technologies, IT-Management, IT-operations, data archiving, high performance computing and Grid and Cloud computing.